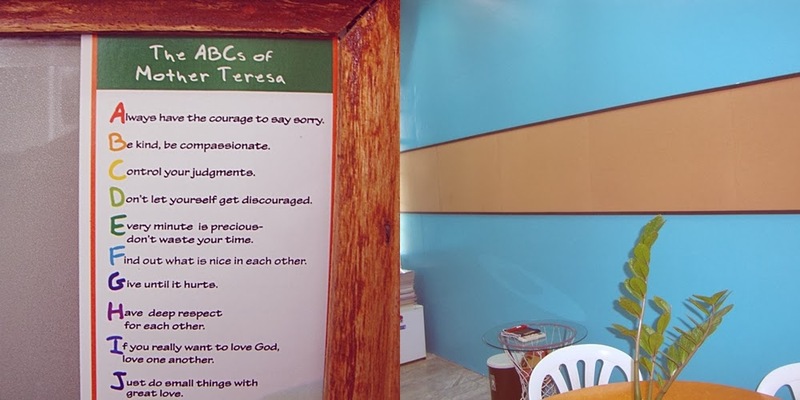 The ABC's of Mother Teresa - This was everywhere at the workplace last week. Unfortunately, I can't figure out the organization responsible for this. Anyway, thanks for this nice reminder. The Longest Corkboard at the workplace - My Big Boss is quite obsessed decorating the office. For this week, he had the longest corkboard installed. Dunkin Donut's Munchkins - Butternut and Red Velvet munchkins never fail to make me happy. 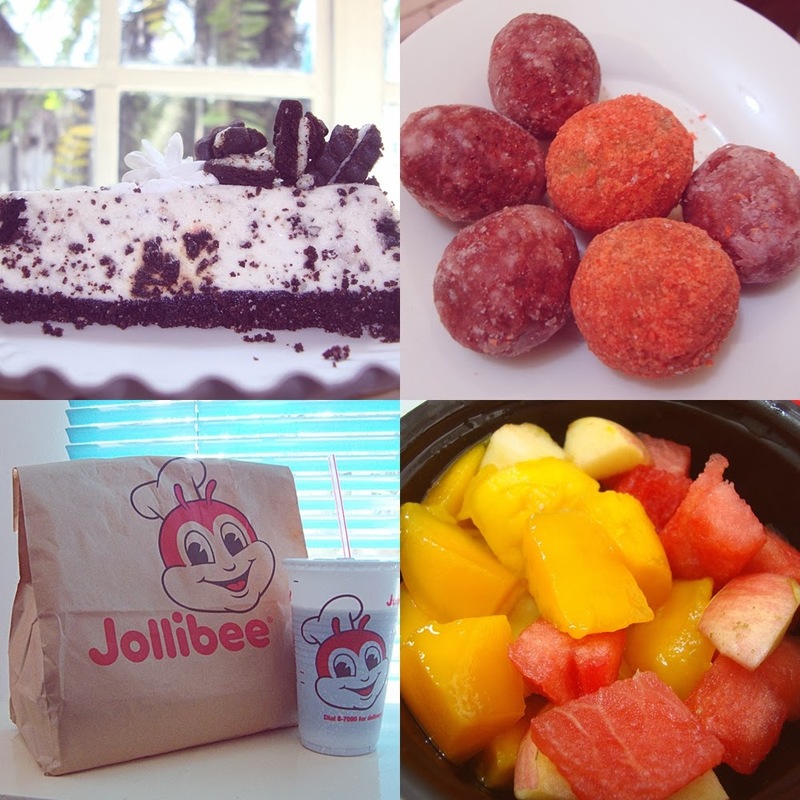 Jollibee! - My lunch buddy was on vacation leave the entire week. I ended up treating myself with so much unhealthy fastfood. Getting Healthy! 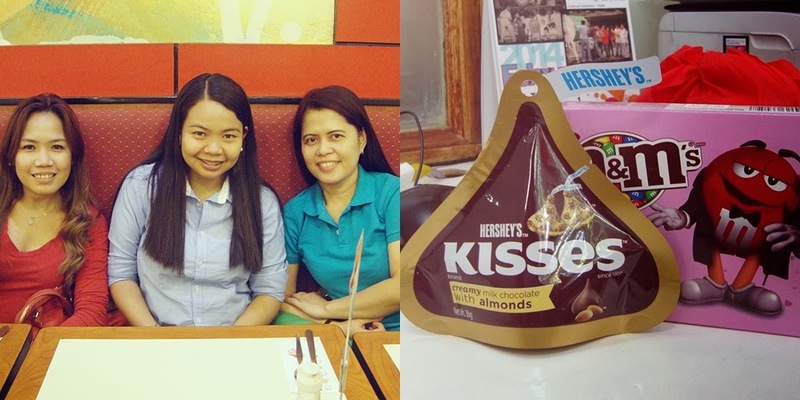 - Mother and I agreed to do something about my unhealthy eating habits. While I can't totally eliminate my junk food intake, she suggested that I bring a box of sliced fruits everyday. This combination is my favorite for the entire week. I've been tired lately. Tired to the extent that all I wanted was to eat, sleep and stay home. When I had the chance to go home early, I dropped by the shopping mall for some window shopping. Another unhealthy habit I want to break .. but hey, I deserve some treat ;) Hence the shopping bag above. Cute Shopping Bag - I scored a nice blouse from Wrangler and was surprised with a graphic paperbag depicting their company history. Weaved Shoal and Wallet - These were gifts from two colleagues who went down South for a presentation. 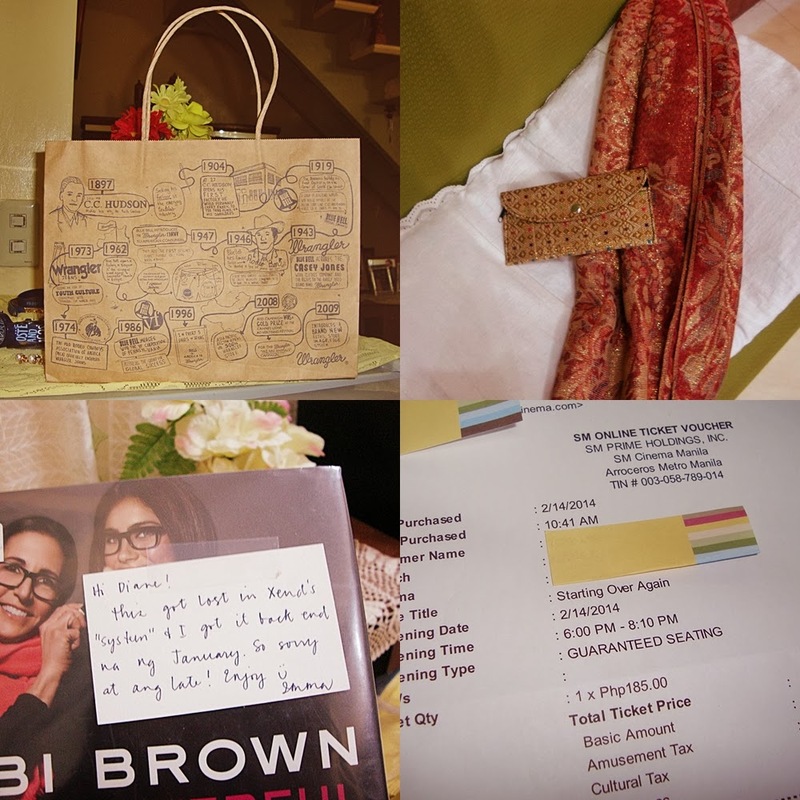 Thanks Ma'am L and Ma'am P.
Bobbi Brown Coffee Table Book - Thanks Imma! My blog prize finally arrived. I really love the book. Movie Date with my workplace friends - Yes, I watched the most talked about local film. (insert twitter hash tag) How do I unlove you? Dinner Date with some friends at the workplace - Hooray for movie dates and great food. Hey, CC! I'm so glad to hear you're feeling much better! Is that Mango? I love mango, but over here they are quite expensive, so I can only buy it once in a while for a special treat! 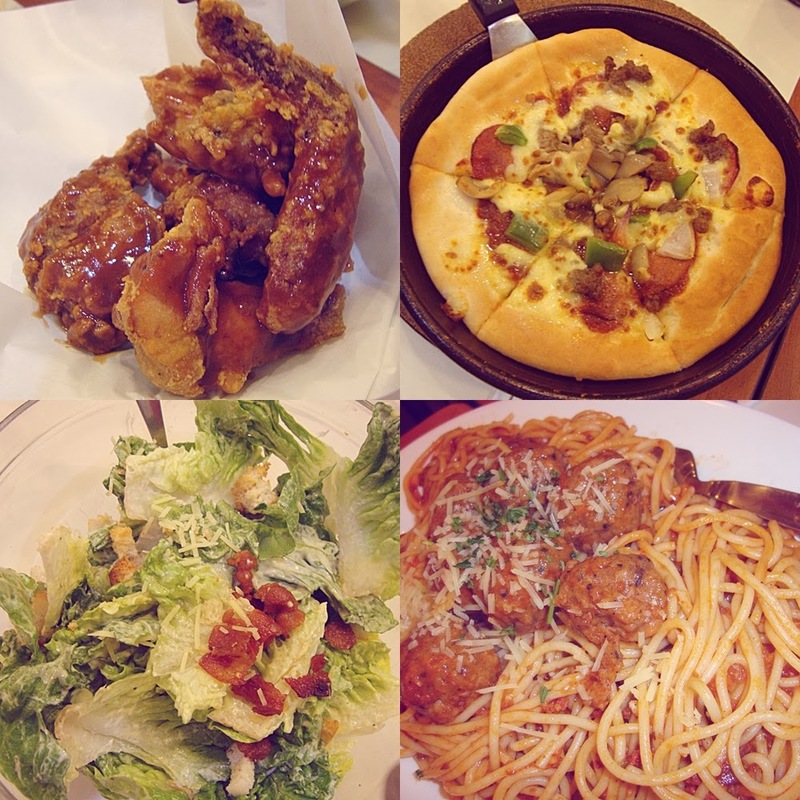 Your photos of food make the food look delicious, and I like the Mother Theresa ABCs too. Glad to hear you're feeling better! Maybe the fruits had to do something with that. I like fruits, but right now, I would choose that Oreo cake :-) And the ABC is awesome. I LOVE your new layout!!! It is SO adorable!!!! I hope you're having a great wednesday!!!!! oh! and that Mother Theresa alphabet looks fantastic!!! The Orea cake looks delicious!